This is our fourth and final installment in our series on Illinois Mechanics Liens. We have gone through the process of enforcing a lien claim against privately owned projects. Now we will now look at the steps that need to be taken in order to perfect and enforce a lien claim against Illinois public projects such as municipal buildings, public schools, city parks or Illinois roads. With respect to public projects, General Contractors (those who contract directly with the public entity/owner) generally do not have lien rights. Because public liens are liens against funds and not against real estate, they must recover any the balance due from the owner. If you are a subcontractor working on a public project and are unpaid, you are then entitled to assert a lien claim against the funds that the public entity is holding. This right is granted pursuant to Section 23 of the Illinois Mechanics Lien Act. This type of lien claim is often referred to as a “trapping lien” and traps any funds that are left to be paid for the project. A subcontractor asserts or perfects its lien claim against the funds by serving a Notice of Claim. The Notice of Claim must be served upon the general contractor and the clerk or secretary of the local public entity (or director if a state agency) via registered or certified mail with return receipt requested. The notice can also be served by personal delivery and is good upon acceptance by the public entity. There is no statutory deadline to assert such a lien claim, however, once the general contractor is paid there will be no more funds left to assert a lien against. It is important to assert your rights as soon as you suspect difficulty in receiving payment. Once the Notice of Claim is served, it can be enforced. In the lawsuit, you will be asking the court to order to pay the public entity the balance due in addition to interest and attorneys fees incurred as provided by the Illinois Mechanics Lien Act. The lawsuit can also contain other causes of action such as breach of contract against the owner or general contractor, fraud, actions for bounced or NSF checks, account stated, and any thing else related to the contract or project. The complaint can also and should include an action to enforce your bond claim as explained below. If the lawsuit is not filed within 90 days, the subcontractor will lose its lien rights. The Illinois Public Construction Bond Act (30 ILCS 550/1 et seq.) requires that for any public project over $50,000.00 a general contractor provide bonds that guarantee performance of the contract by the general contractor and payment to the subcontractors. This law is often referred to as a “Little Miller Act” in reference to the federal law governing bond requirements on projects owned by the federal government or its agencies. In order to assert a claim against a payment bond against an Illinois or local project, the subcontractor or material supplier needs to prepare and send a Notice of Claim. The Notice of Claim against Payment Bond must be served upon the local public entity via registered or certified mail with return receipt requested or by personal delivery and a copy to the general contractor within 10 days of service. However, it is good practice just to send the notice out at the same time to everyone, including the surety if known. The claim is good upon acceptance by the public entity and can be enforced immediately. In order to enforce a claim against payment bond, a subcontractor must file a lawsuit to enforce its lien claim within 1 year of its last date of furnishing. The lawsuit is brought on behalf of the public entity for the use and benefit of the subcontractor and against the surety. The lawsuit is filed in the county where the project is. If the lawsuit is not filed within 1 year of the last furnishing date, the subcontractor will lose its bond rights. Given that the requirements for clams against public funds and payment bond are so similar, is it common and good practice to combine both notices of claims against public funds and payment bond into one document and serve that. A subcontractor can then commence one lawsuit and enforce both claims, as well as any other claims it may have against its customer in the same action. What happens if your customer, the general contractor, the owner or any other interested party file for bankruptcy? As in the case of a lien against a private project – bankruptcy stays enforcement of a lien or bond claim but not perfection. Once a party files for bankruptcy protection, the automatic stay applies and the debtor is protected from any collection attempts by creditors. Creditors cannot commence or continue any litigation against the debtor. However the stay DOES NOT prohibit a party from asserting or perfecting its Illinois mechanics lien and bond rights. A contractor who is not paid should still serve its Notice of Claim in order to trap any funds that are left due the general contractor. The automatic stay does, however, prevent enforcement of the lien claim. A subcontractor first needs to file a motion in the bankruptcy court and seek modification of or relief from the automatic stay so that it can enforce its lien claim. The bankruptcy courts often allow this request as long as the contractor does not seek money damages from the bankrupt debtor . Once the bankruptcy court grants the motion to modify or lift the automatic stay, the contractor can then proceed to file a lawsuit to enforce the lien against the public funds. With respect to bond claims, a subcontractor can still assert a claim and file suit to enforce a bond claim even if its customer is bankrupt. Only bankruptcy of the surety would stay any such action. Here is a summary of the deadlines that subcontractors need to adhere to in order perfect and enforce their lien and bond rights against public projects. These are the most important to remember. File a lawsuit to enforce lien within 90 days of serving the Notice of Claim of the last date of furnishing. Serve Notice of Claim within 180 days of the last date of furnishing. File suit to enforce the bond claim within 1 year of the last date of furnishing. Both the Notice of Claim Against Public Funds and Notice of Claim Against Payment Bond can be combined into one document. One lawsuit can be filed to enforce both claims and it is much more efficient and cost effective to do so. The deadlines must be followed exactly and the lien claim and bond claim notices must contain all of the necessary information described above in order to perfect and enforce your rights. However, it is always best to consult an attorney if you suspect you are having payment issues and need to protect your lien and bond rights. President and Founder of Grzymala Law Offices, P.C. This is our second post in our series providing an overview of Illinois mechanics liens. In this installment, we will examine what is required in order to be entitled to an Illinois mechanics lien claim and who is entitled to assert one. In a typical construction project, there is generally an owner, developer or sometimes a tenant who hires a general contractor to perform work on a project. 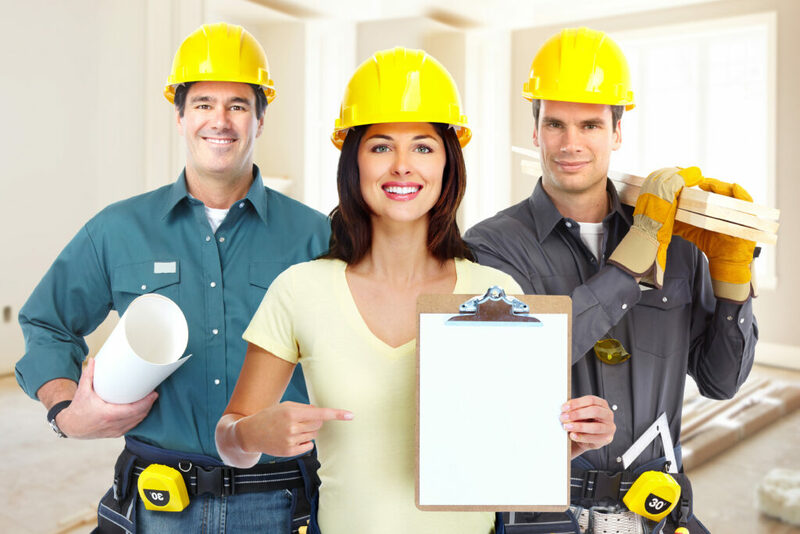 The general contractor then hires subcontractors for specific trade work such as electrical work or carpentry. Often, those subcontractors will also hire sub-subcontractors or material suppliers (for lumber, pipes, etc.) and so on. For purposes of the Illinois Mechanics Lien Act (the “Lien Act”), a general contractor is one who had a contract directly with the owner, the owner’s agent or someone he or she has “knowingly permitted” to contract for improvements. This means that even a plumber can be considered a “general contractor” as long as its contract for the work performed is with the owner. A subcontractor is one who has a contract with a general contractor. This is an important distinction and the steps needed to assert and perfect your mechanics lien rights can vary on whether you are a general contractor or a subcontractor under the Lien Act. General contractors, subcontractors and material suppliers who have furnished labor or materials used to improve real estate from the general contractor to the lowest tier subcontractor or material supplier is entitled to a lien claim for his or her unpaid work against that real estate. The work and materials must be lienable. Some examples of lienable work include: carpentry work including framing, installing flooring and carpeting, installing drywall, excavation, paving, electrical work, roofing, masonry, installation of HVAC equipment, plumbing including installing storm and sewage drains, furnishing concrete forms, cabling, drilling for well water, rental of cranes and other construction machinery, whole house painting, installation of an elevator and landscaping. Some examples of non-lienable work include: patching and painting, cleaning, repair work, maintenance, warranty work, and installing non-permanent fixtures such as kitchen appliances and other trade fixtures. What about public projects? In our last post we touched upon mechanics lien rights for work performed on public projects. Under Illinois law, a general contractor (one who has a direct contract with the owner or public entity) cannot assert a lien against the public funds pursuant to Section 23 of the Lien Act. However, a subcontractor who has furnished labor or materials used to improve a public construction project can as long as the same requirements set forth above are met. This concludes our second installment on Illinois mechanics liens. Next we will look the steps necessary to take to perfect and enforce your Illinois mechanics lien claim against private projects. This is the first post in a series aimed to provide a general overview of mechanics liens and related rights under Illinois law. We will first look at what exactly a lien is, then we will look at who is entitled to file a lien, next we will examine what is required in order to assert a lien claim, then we will review the steps needed to perfect and enforce a lien claim and finally we will touch upon specific issues that occasionally arise that might affect your lien rights. So what is a mechanics lien? Mechanics liens in Illinois are governed by the Illinois Mechanics Lien Act which can be found at 770 ILCS 60/1, et seq. A lien is essentially an intangible right in real property. It acts as a cloud on the owners’ title and prevents the owner from selling or refinancing the property until the lien claim is resolved. A mechanics lien claim is recorded in the office of the county recorder of deeds in which the real estate is located in. A mechanics lien claim can provide leverage and security for payment especially when your customer is slow to pay or lacks the funds to do so. The deadline to record a mechanics lien is four months after the claimants last date of furnishing. Subcontractors also need to serve an additional notice to the owner within 90 days of their last date of furnishing. Sometimes title companies will allow a general contractor or even a property owner to provide a bond or other insurance to cover a subcontractor’s lien claim. However, there currently is no mechanism under Illinois law which allows a party to “bond over” a lien claim. The lien claim will always remain and the contractor will always have all rights under the Mechanics Lien Act including the right to enforce the lien claim and foreclose upon the real estate. It is important to note that mechanics liens can only be recorded against privately owned projects and not government owned projects such as public schools, city parks, libraries, or other municipal facilities. However, subcontractors who are unpaid on public projects have different remedies. They are able to file a lien against the funds owed from the public entity to the general contractor pursuant to Section 23 of the Illinois Mechanics Lien Act (770 ILCS 60/23). This is also commonly referred to as a “trapping lien” and no claim is asserted against the actual real estate. Upon receipt of the notice of claim, the public entity is required to hold funds claimed to the extent it still has them. Furthermore, for most public projects, the general contractor is required to provide a payment bond under the Illinois Public Construction Bond Act, 30 ILCS 550/1, et seq. Subcontractors can also assert and enforce claims against these payment bonds togrethet with their claims against the public funds. Claims against bonds must be submitted within 180 days of the claimant’s last date of furnishing. Liens against private or public projects have very short deadlines upon which to act and you should consult with an attorney as soon as you are anticipating payment issues from your customer. This concludes our first installment on mechanics liens. Our next post will define the parties entitled to assert lien claims against private and public projects and the requirements that need to be met in order to do so.